Call Us Today at (888) 720-3322. We Find Wonderful Homes For Pets! 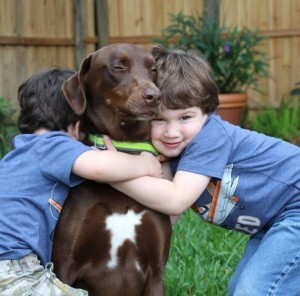 Need to rehome a pet in Labrador? 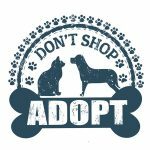 Find My Pet A Home offers a compassionate pet rehoming service by knowledgeable and experienced pet adoptions professionals. We can help find your pet a home safely, effectively and inexpensively. We know just how hard it is to face parting with a cherished cat or dog. Life can present obstacles that make keeping your pet all-but impossible. Circumstances including illness, severe pet allergies, a long distance move, financial difficulties or increased job demands can make it necessary to find a loving new home for your pet. Finding a great new home where your pet will receive the love, care, attention and exercise they need can be the kindest thing to do. In the event that the new owners are unable to fulfill their promise to provide a home to your pet for any reason, our staff will continue to look for a good home until the perfect one is found. There is no additional cost to you, and you can rest assured that your pet’s future is in the best of hands. 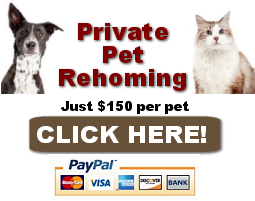 Find My Pet A Home offers expert dog rehoming services throughout the USA and Canada. Many dog owners face the difficult choice of rehoming a dog or puppy, and our team is here to help. Cat rehoming services are also offered through Find My Pet A Home Labrador. Our staff of conscientious cat lovers have a wealth of experience and know-how when it comes to rehoming your cat. [dropcap4]1[/dropcap4]It’s SAFE. Our dedicated pet rehoming team take great care to ensure that you are matched only with potential adopters with a legitimate interest in offering your pet a loving, forever home. Our staff provide FOLLOW-UP. We stay in touch with your pet’s new owners for a year, ensuring that all is well and your pet is being well taken care of. [dropcap4]2[/dropcap4]It’s AFFORDABLE. We charge a modest fee of just $150 to rehome all pets – no matter what their breed, size, age or health issues may be. [dropcap4]3[/dropcap4]It’s WORRY-FREE. Let our pet rehoming team deal with all those emails and phone calls inquiring about your pet. We’ll keep your identity, phone number and email address CONFIDENTIAL until a suitable adoptive family is found. [dropcap4]4[/dropcap4]We CARE ABOUT YOU. Giving up a cherished family companion is never easy. Our staff are here for you when you need a shoulder to lean on, a kind word, or reassurance that you are doing what is best for you and your pet. 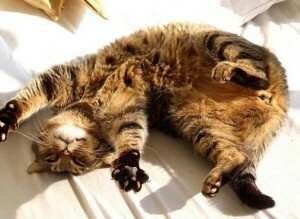 [dropcap4]5[/dropcap4]It’s STRESS FREE FOR YOUR PET. There is nothing more traumatic for a beloved family pet (or pet owner) than to be left at an animal shelter. Through our unique home to home pet rehoming service, your pet never set’s paw in a shelter. They remain in your care until they are gently transitioned into the loving arms of their new owners. Finding yourself in the difficult situation of having to rehome your pet is hard enough! Let the caring pet rehoming services team from Find My Pet A Home help find your pet the perfect home today. Call us toll free throughout North America at (888) 720-3322. We are here for you and your pet! Need to Rehome a Pet in Labrador?